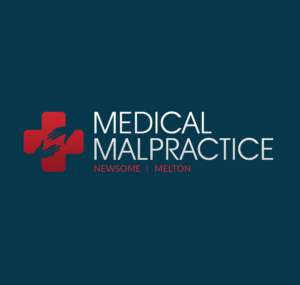 Common Malpractice Cases: Bed Sores | Legal help for people affected by dental & medical malpractice. As the baby boom generation ages, assisted living and long-term care facilities continue to be a growing profit center for the healthcare industry. The Commission on Affordable Housing and Health Care for Seniors in the 21st Century predicts that the United States population of senior citizens will double by the year 2030. Where assisted living and nursing home centers are concerned, crowded conditions, insufficient staffing, and the need to turn a profit can collide, resulting in medical malpractice or neglect. Bed sores are one of the most common and yet the most preventable conditions that afflict bed- or chair-bound patients. This condition is caused by the pressure of bedclothes and mattresses against fragile skin. Without frequent movement or turning to prevent tissue breakdown, sores can develop. If not properly treated, these sores can grow large and deep, becoming infected. It is not uncommon for a bed sore to cause further immobility, leading to a host of health complications for the patient. Bed sores should never occur in a facility that is staffed with a sufficient number of properly trained employees. Because the condition is easily preventable, the loved ones of a patient suffering from bed sores may wish to pursue a claim of medical negligence. If the patient was treated at multiple facilities, it may be possible to take legal action against more than one of them, making it important to find exactly where the problem began. Inadequate staffing levels, lack of appropriate medical supplies for treatment, and poor hygiene among employees and the patient population are important factors to be documented when considering a claim of this type. The level of documentation may help establish the level of claim, whether it is for the cost of treatment, compensation for pain and suffering, punitive damages or a combination of varying damage types. Consulting with a medical malpractice attorney is advised at this stage in order to determine the authority of the claim. Assisted living facilities are required to uphold minimum standards of care in order to avoid malpractice claims. In turn, facilities are protected by a statute of limitations for certain types of legal action. Because of this, a family whose loved one has contracted bed sores as a result of negligence should contact a medical malpractice attorney to discuss options for filing a claim as soon as possible. Although nursing home negligence is a frightening concept that everyone hopes they never have to encounter, it is a cause of concern for those who have an aging parent or close relative in a nursing home. Whether a person is taking the necessary steps to prevent nursing home negligence or seeking assistance if they believe it has already occurred, the notion of nursing home negligence is a very real possibility. As of 2009, it has been estimated that 12.9 percent of individuals within the United States are over the age of 65, which equates to approximately 39.6 million elderly Americans. It is now being predicted that this rate is expected to double over the next 20 years as nearly 19 percent of Americans, or 72.1 million people, will be at least 65 years of age or older. Since numerous neglect and elder abuse cases are made each year, one can only assume that these types of cases will be reported more frequently as a result of the increasing aging population. Nursing home negligence can occur in a variety of ways such as the inability of staff to effectively care for residents and prevent them from becoming inured or harmed, having a shortage of staff that cannot give proper care to all residents and not training and supervising staff that are responsible for the care of residents. Other forms of nursing home negligence include a level of care that has strayed from what is acceptable and a violation of the standards that have been put into effect by federal and state laws. When a nursing home resident is showing signs of being dehydrated or malnourished, it is a cause for alarm as these symptoms can cause a serious injury or illness and may possibly lead to death. Unfortunately, the elderly are at a high risk for both and these instances are becoming an increasing problem. It has been estimated that individuals between the ages of 85 and 99 are up to six times more likely to be hospitalized due to dehydration in comparison to those who are younger. Since this age group is already at an increased risk for malnutrition and dehydration, all nursing homes should have implemented practices that aim to effectively monitor residents and prevent this from happening. Nursing home residents who are malnourished or dehydrated are more reliant on caregivers and staff since they are unable to care for themselves. In other cases, becoming dehydrated or malnourished may cause the death of a resident. The good news is that there are a great number of nursing homes that effectively provide a caring and supportive environment for their residents, as well as hire staff that is focused entirely on the safety of the resident. At the same time, residents who are highly dependent upon staff and family members may be hesitant to report instances of negligence out of fear of being punished for their claims. If an individual has reason to believe that negligence has occurred in a nursing home facility, it is essential that an attorney be contacted to discuss legal rights and options. An experienced attorney can fight for the rights of the resident and make sure that they are being properly cared for.